Clydesdale Western recovered from going an early goal down to hammer Hillhead on a sunny Saturday afternoon at Titwood. 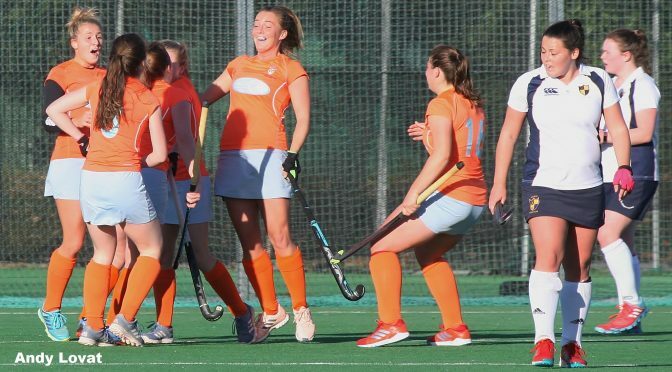 Women’s National One is proving to be a big battle with at least four teams hoping to be champions come the end of the season. Given their position before the start of the game, ‘Dale Western can ill afford any more slip ups. But a few minutes in, it was on the cards when Hillhead forward Wendy Andrews reversed in to give the visitors a shock lead. Despite a big defensive effort from Hillhead, the home side got their equaliser just short of half time before hitting in another six unanswered goals. There were doubles for stand-in skipper, Frances Lonergan, Emma McGregor and Millie Brown, whilst Heather Howie got the other. The L1s still remain 4th in WNL 1, three points adrift of league leaders, Edinburgh University. Clydesdale Men’s 1s failed to bounce back from last weekend’s defeat as they lost out to a sturdy Hillhead side at Titwood in a late pass back on Saturday. The M1s went 1-0 down after 15 minutes when Callum Duke converted a drag flick from a penalty corner. The game had an unfortunate delay due to a nasty head injury, but five minutes into the restart, the visitors doubled their lead. A counter attack by Hillhead seemed to be overran when Clydesdale picked up the ball on their own baseline. But Hillhead’s Ross Jamieson nicked the ball back before slotting past ‘keeper Sean Mahoney. In the second half, Clydesdale improved on basic errors made in the opening period and 15 minutes into the second half saw them claw a goal back. Euan Lindsay, playing up front, led out wide to collect a pass before showing composure to play in Sam Hayes. Hayes, with his back to goal, took a touch before hitting in for 1-2. Hillhead restored their two goal lead minutes after, however, when David Gay deflected a penalty corner high into the net from the penalty spot. 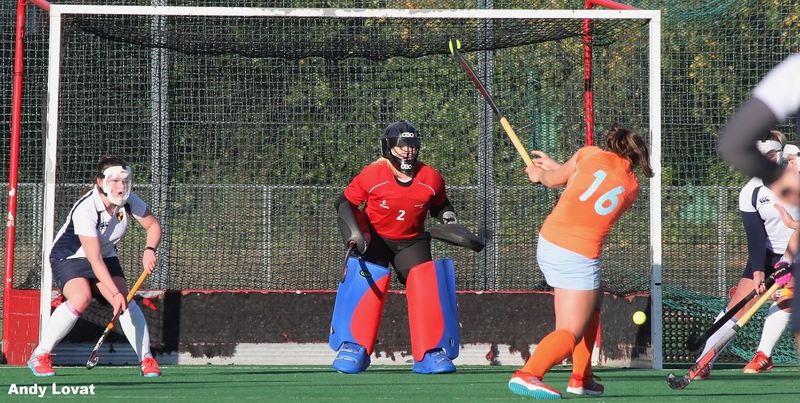 Despite the M1s best efforts, Hillhead held firm defensively to take the three points. Clydesdale are now 5th in Men’s National Division One, one point behind 4th and six points off of top spot. In the rest of the weekend’s games, the M2s lost their eighth league game in a row after losing to Grange 2s at Fettes College. Despite a positive start, the M2s went 2-0 down before Ciaran Crawford – in his first hockey outing in nearly eleven months – converted a drag flick from a penalty corner. The M2s struggled to build on this in the second half, conceding a further two goals. The M4s and M5s, who both have suffered a similar difficult start to the league season, picked up valuable 4-0 wins. The M4s, at home to Uddingston, saw Spencer Cox scoring twice whilst there was a goal each from Ruaridh Callaghan and Eddie McLean. The M5s, away to Giffnock 3s, picked up three points courtesy of an Iain Flynn double and a goal each from youngsters Oran Pathi and Robin Ferguson. Of the ladies games, the L4s won 3-0 at home to Dumfries 1s, with goals coming from Kirsty Forgie, Sophie Watkins and Jessica Kelly. 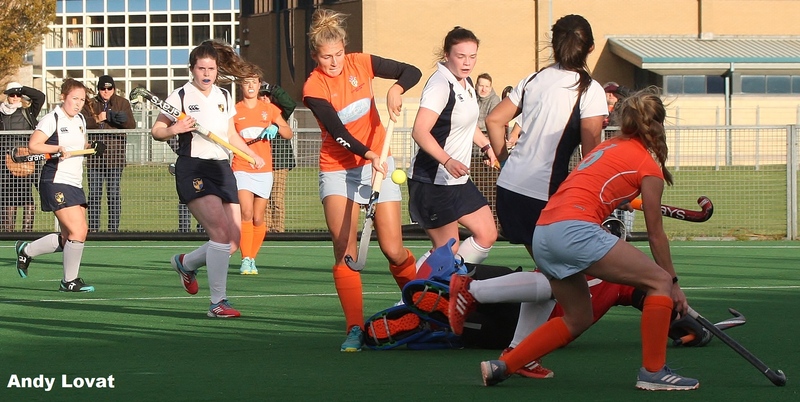 The L5s picked up a point away at Glasgow Accies 2s to draw 1-1 – Emma Murray scoring for the visitors. The L6s went down 8-0 away to University of Strathclyde 2s. The L2s-L3s match was unfortunately abandoned ten minutes into the second half on Sunday due to a frozen pitch.